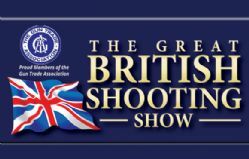 We exhibit at various shows throughout the year so come along and see us, there are always bargains to be had and you can meet the team. We are happy to be Sponsoring The Bushcraft Show again this year and we will also have various free workshops running all weekend taught by our head instructor so come along and see us. September 14th to the 15th 2019. Come and see us at this great show, everything for the Countryside and some great displays from all walks of life.